925 silver necklaces, shiny flat circular plate with cut in the shape of an angel and an angel in copper shade. 925 silver necklaces consist of two variously long chains with oval rings and shiny flat pendants. 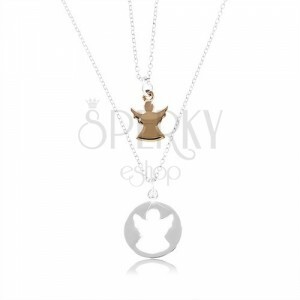 One pendant has the shape of a circular plate in silver colour with an angel-shaped cut. 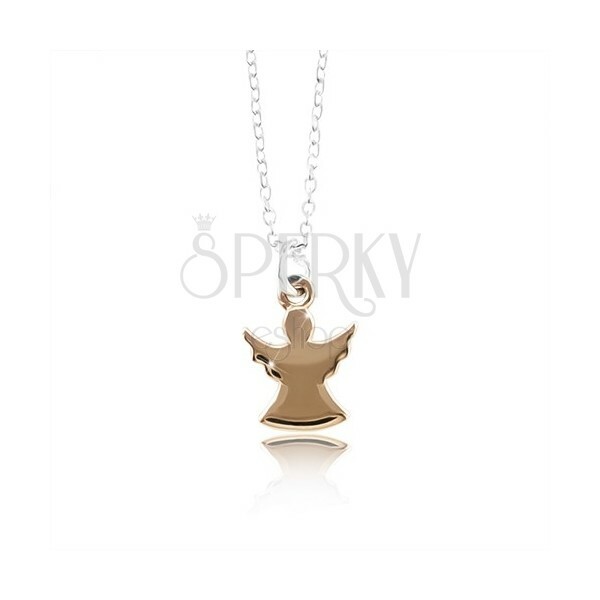 The second pendant has copper shade and the shape of an angel that exactly fits into the cut in the first pendant. The necklaces have lobster clasp fastening.